Time has gone by too fast, and I can’t believe my clinical experience at Parkway Central will be coming to an end soon. 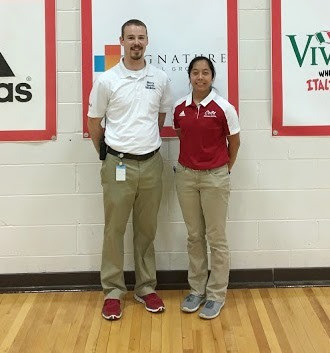 I have enjoyed working at PCHS with Mercy Sports Medicine athletic trainer and SLU athletic training graduate Michael Aaron, ATC (SLU MAT Class of 2015). Michael has challenged me by asking questions of why I do certain things during my evaluations and rehabilitation programs. This helps him figure out my thought process, but also has helped me refine my evaluations and rehabs and makes me consider the best practices based on evidence to give quality care. He also quizzes me on anatomy. This has been a great review, especially since I will be taking the Board of Certification exam soon. I have learned a lot from Michael not just with the duties of athletic training, but also personal health and well-being. I have learned to find balance in my life in order to provide excellent care to the patients. I’m excited for the spring sports to begin. My favorite part about the upcoming spring sports season is being able to go outside and tackling the challenge of having multiple sports going on at the same time at different locations. The low demand of the winter sports season was a great time for me to learn and grow. My previous experience with Mercy Sports Medicine has helped me understand the importance of coordinated care. I was able to spend more time with my patients during rehab ensuring that they were performing the exercises correctly and reaching their goals. I was also able to review and assist in conducting selective functional movement assessments (SFMA) and give corrective exercises to patients with dysfunctional movement. During our down time, Michael and I organized the athletic training room and came up with plans to improve patient education and care for next year. My clinical experience has shaped me to be the best clinician I can be. I’ve learned a ton throughout my experience and am determined to continue to learn. I am thankful to all the preceptors I’ve had. I appreciate all the support I have gotten from my family, the SLU AT program, my preceptors, and my friends. A special thanks goes to both Parkway South and Parkway Central for letting me be part of the healthcare team and Parkway community. I felt at home at both high schools and will never forget the great experience I had. I also want to thank Mercy Sports Medicine for their dedication to provide high standard quality sports medicine services. 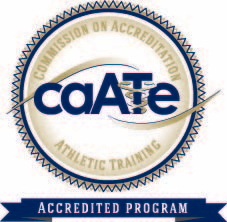 I can’t wait for the next step in my journey, and I am excited for my future career as an athletic trainer!